I recently purchased another CSA-style package of seasonal vegetables from Gilt Taste (I couldn’t help myself) and in the box were a variety of beautiful heirloom beets. I didn’t even know that heirloom beets existed but there they were in all their colorful glory, just begging to be cooked! I used to hate beets but I’m really learning to love their earthy sweet flavor, especially when simply roasted with olive oil, salt and pepper. So why not take it to the next level (or maybe even more than one level) and make something I’ve never tried, like beet pasta! I was originally going to make a vegan pasta but I was seriously having the urge to try an egg-based pasta recipe from Mario Batali and since I always believe in cooking how you feel, the eggs-based recipe won. Sorry to any of my vegan followers (do I have any vegan followers?). 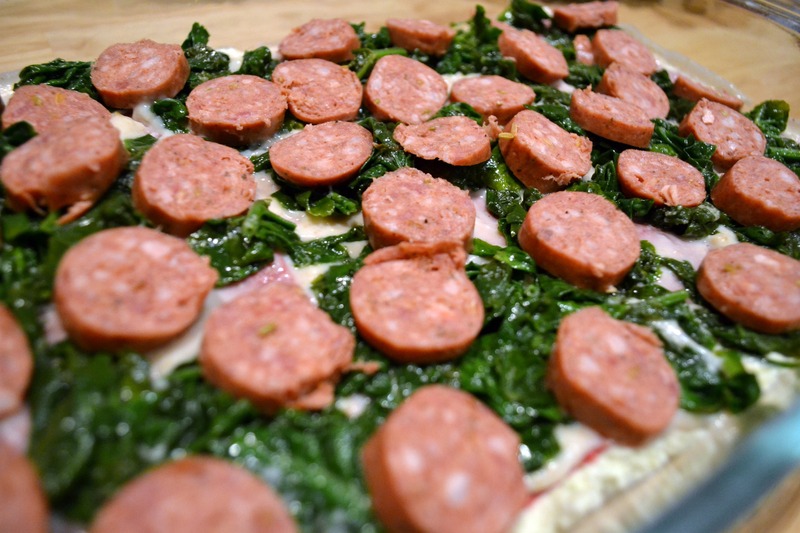 By the way, if it looks like there are a lot of steps and ingredients to this dish, you are right! And was it worth it? Yes and No! The layers of filling were absolutely delicious but I’m not sure if I would make the homemade beet noodles again. I’m so glad I tried it once but unless I have extra roasted beets lying around, these noodles just take a long time. I definitely think everyone should try making homemade noodles at least once in their lives! Crossing it off my check-list now. 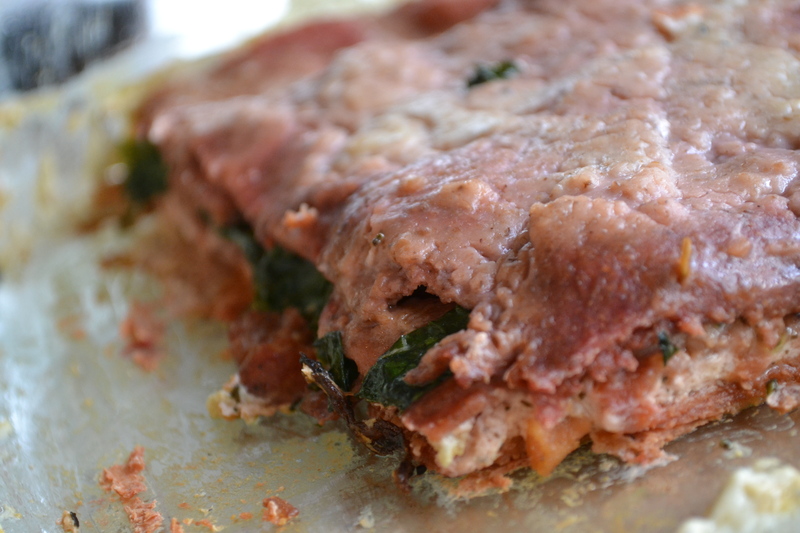 I began the long process of making this delicious lasagna by roasting the beets. 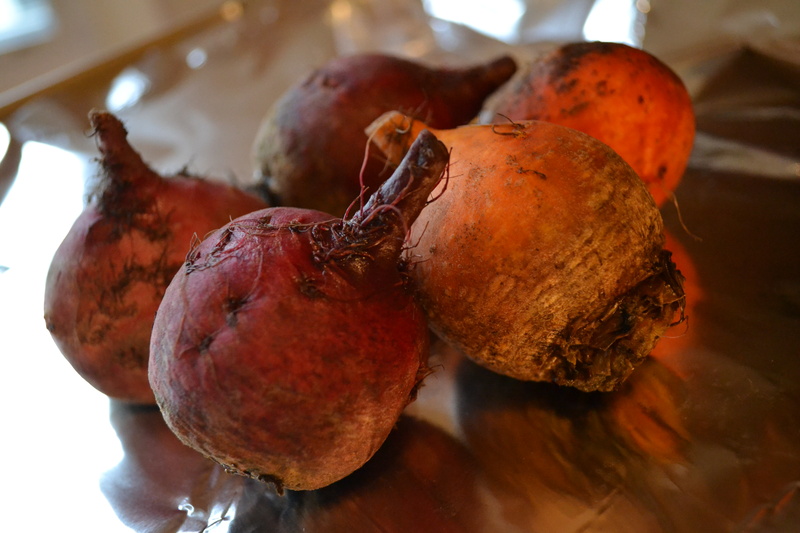 I preheated the oven to 400 degrees then washed and cleaned the heirloom beets. I tossed the whole beets in the olive oil, salt and pepper then tightly wrapped in foil and roasted in the oven for 1 hour. While the beets cooled, I prepared the spinach layer. 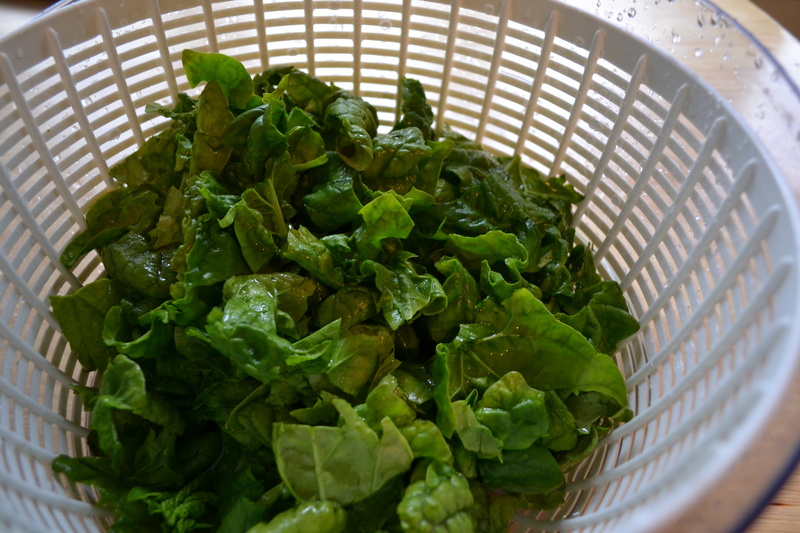 I washed and chopped the beautiful spinach leaves that came in the CSA-style package. There was so much dirt on the leaves that I had to wash them like 3 times to get all the grit off! I heated the oil over medium-high heat in a saute pan then added the garlic. 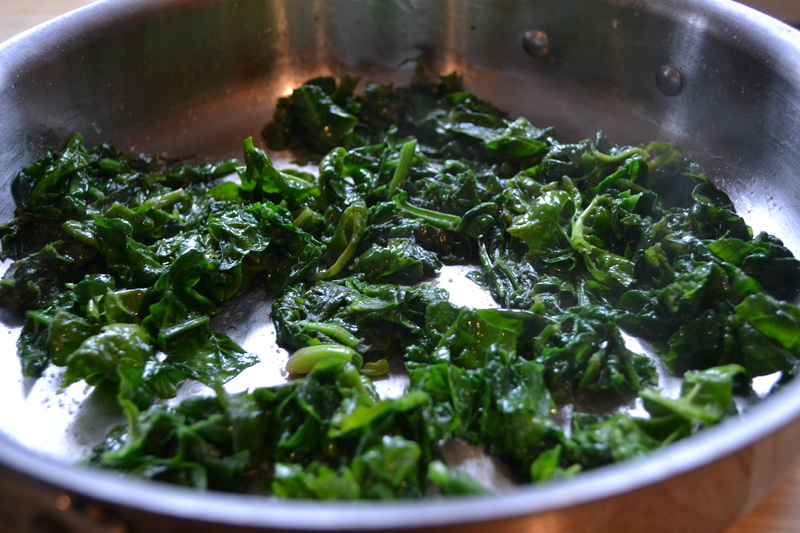 I tossed in the spinach leaves with some salt and pepper and stirred occasionally until bright and wilted. I removed from the heat and set aside until lasagna assembly. At this point, the beets were cool enough to handle so I put on gloves (to avoid bright red fingers) and peeled the gorgeous roasted root vegetable and diced into small pieces. 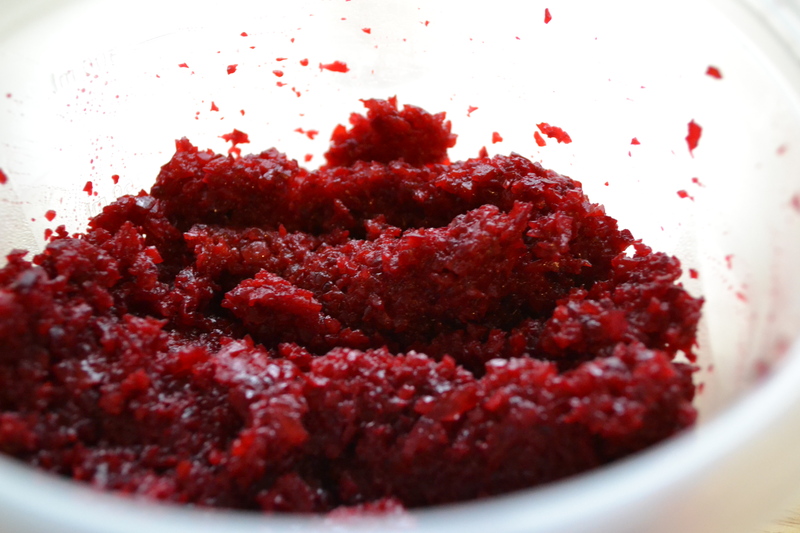 I placed the beets in a food processor and pureed until as smooth as they could get. I mixed together the beets, soy milk and olive oil and set aside. 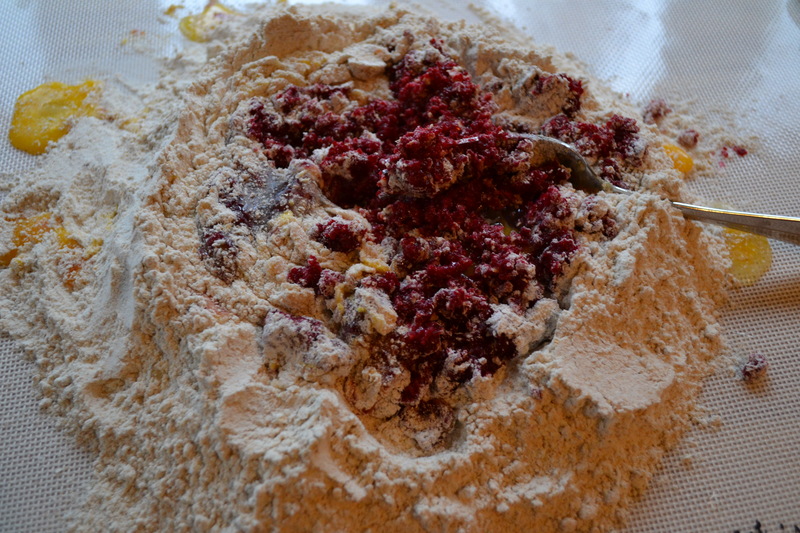 You can also add the eggs to the beets but I whisked them directly into the flour in the next step. 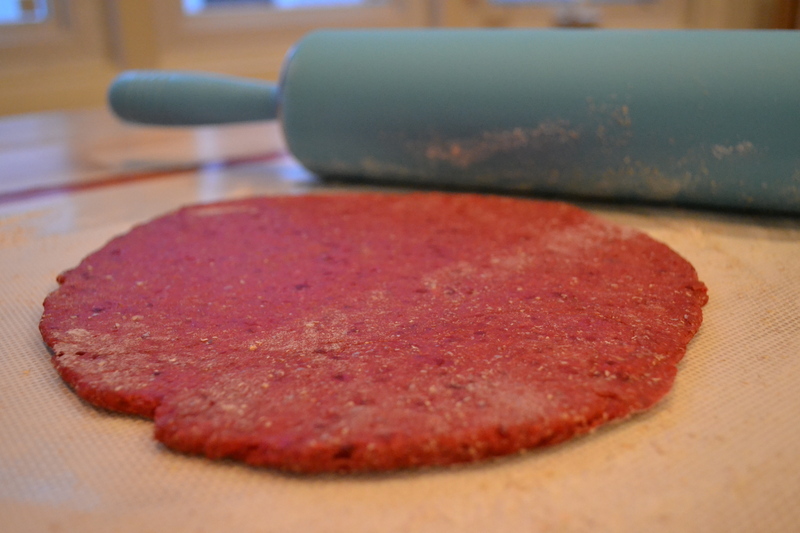 Now it was the time to make the beet noodle dough! I made a mound of flour in the center of a large cutting board and made a well in the center. I cracked the eggs into the center of the well, whisked lightly with a fork then added the beet mixture. I continued whisking, slowly incorporating the flour starting with the inner rim. As the well expanded, I pushed the flour up around the edges to retain the well shape. Don’t worry about the mess! That’s what making homemade pasta is all about! 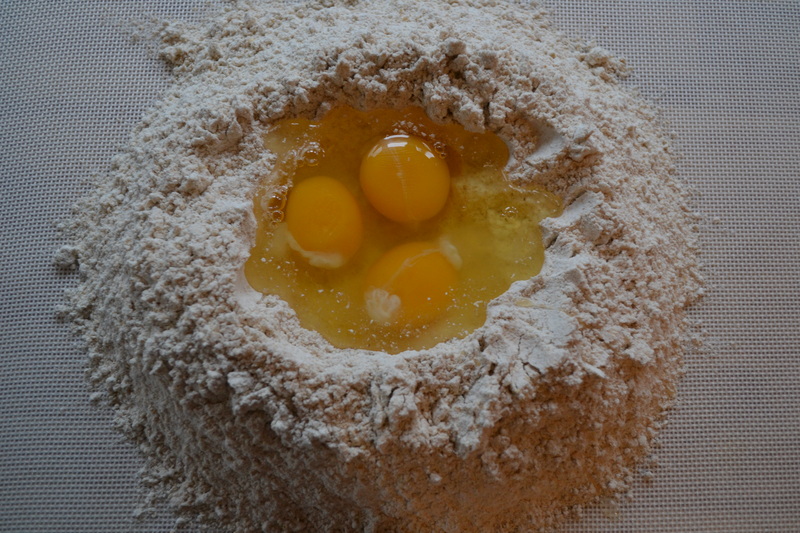 Once around half of the flour was incorporated, the dough began to form. I continued to mix the dough until it formed a ball then cleaned the table of any messy bits left over and brought the dough back to the newly cleaned space. 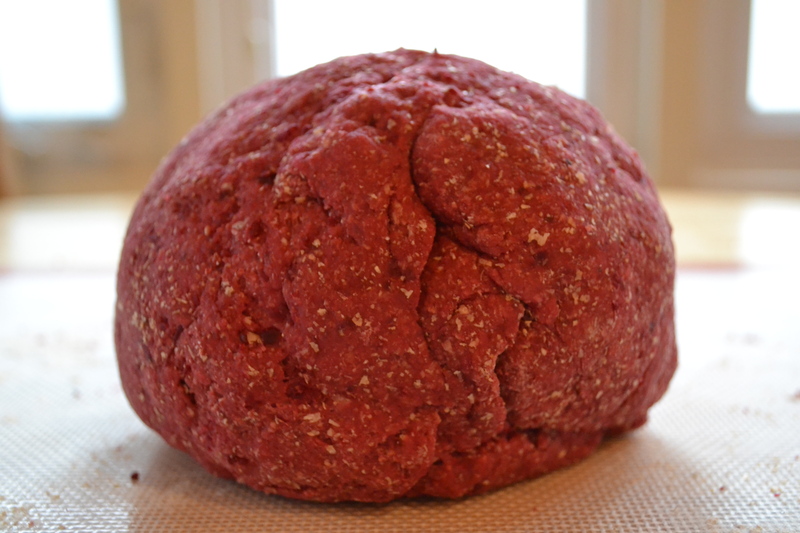 I kneaded the dough for around 10 minutes, until full formed. I wrapped the dough in plastic wrap and allowed it to rest at room temperature for at least 30 minutes (and up to 3 hours). 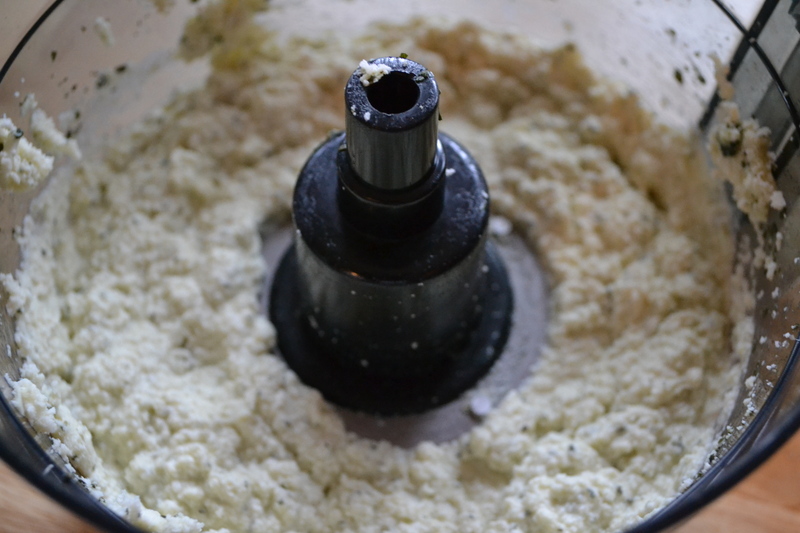 While the dough was resting, I placed the Better Than Ricotta in a food processor with the chopped basil and mixed until fully combined. I added salt and pepper to taste and set this mixture aside. If you’ve never had the Tofutti Better Than Ricotta Cheese, I think you will be pleasantly surprised by how delicious and dairy it tastes! 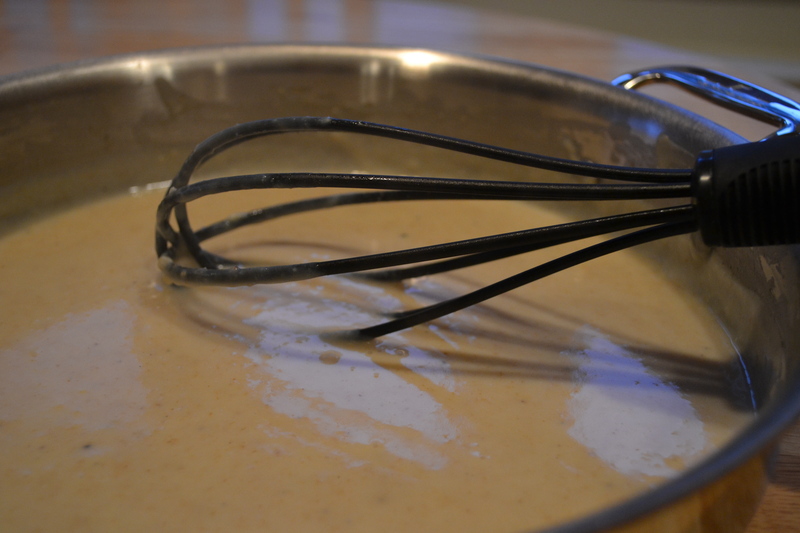 The last step before assembly was the creamy bechamel sauce. In a large saucepan, I melted the margarine on medium heat, added the flour and stirred well until slightly pasty and golden. I removed the pan from the heat, whisked in the soy milk then returned to the stove and reduced the heat to low. I added the salt, pepper and garlic and stirred occasionally until thick and luscious. I set the final mixture aside so I could roll out the pasta dough. I cut the dough in to 4 sections. Since I don’t have a pasta press, I chose to roll out my pasta by hand. Not as bad as it sounds. On a lightly floured surface, I rolled out the dough to the thickness I desired. I then cut the dough in to rectangles and set aside on parchment paper while I rolled out the rest of the pasta. There is no perfect way to roll and cut the dough. 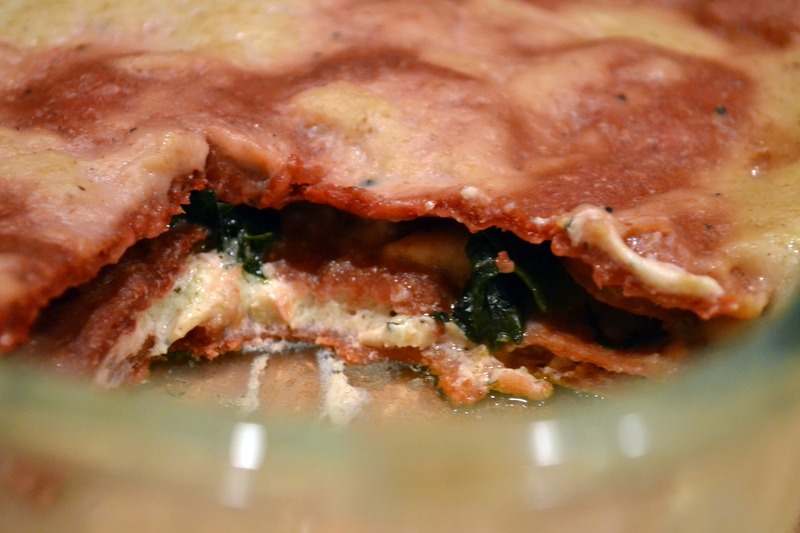 Lasagna should technically be very thin so if you have the strength to roll out your dough until it is practically see-through, go for it! 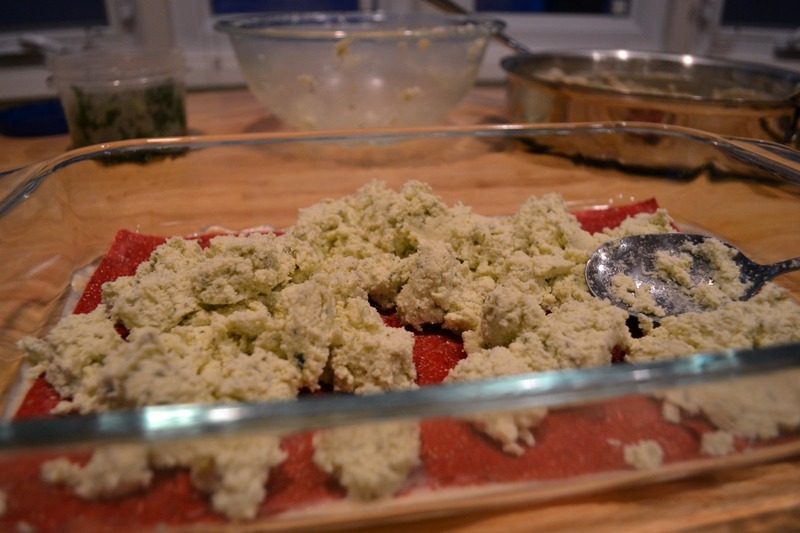 For some extra tips on kneading and rolling out dough, check out this wonderful blog post by lisamichele.wordpress.com! She makes her own spinach egg pasta and has great tips for stretching and thinning out pasta dough by hand. Then came assembly! I layered a little bit of the bechamel in the bottom of the pan. I placed 4 lasagna noodles on top of the sauce, trying not to overlap, and spread the Better Than Ricotta mixture over the top. 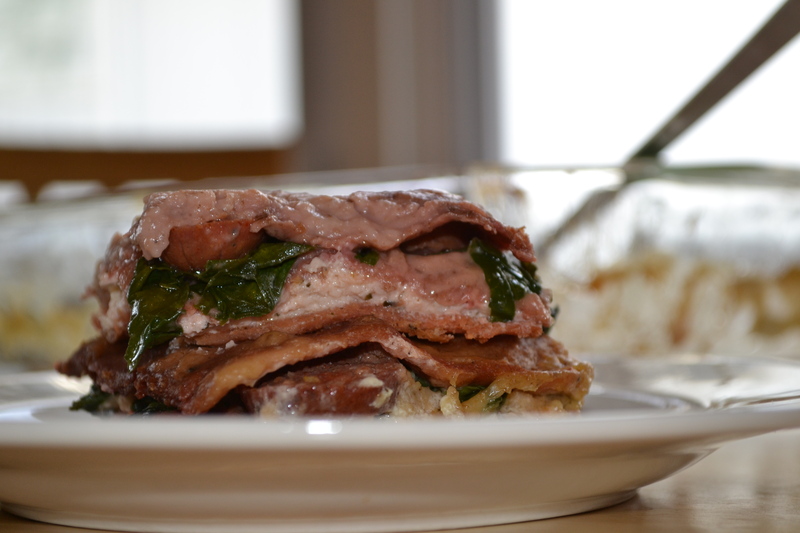 I added another layer of lasagna noodles, some more bechamel sauce, then the spinach and sliced sausage. One more layer of the lasagna noodles then I smoothed out the rest of the bechamel sauce over the top. 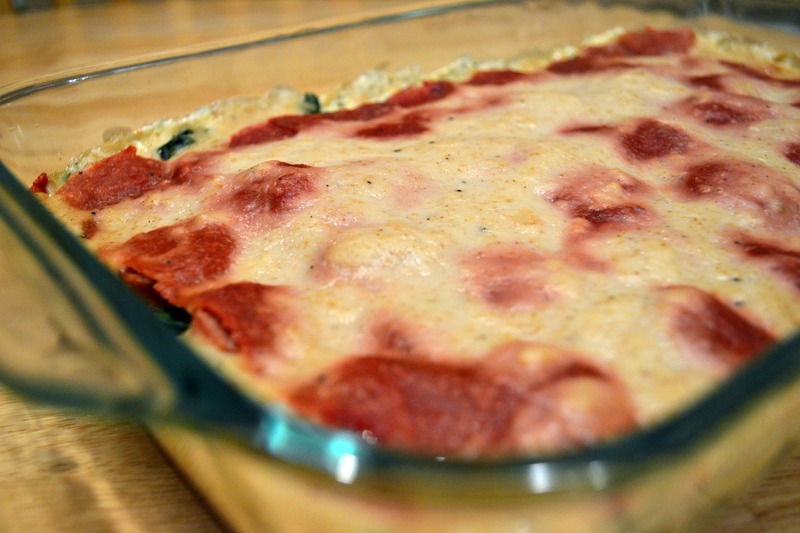 This lasagna was ready for the oven! I baked at 350 degrees for 30 minutes covered, then another 10 minutes uncovered and the lasagna was FINALLY done! Are you tired yet? Well, at least you get to eat now! This lasagna was absolutely delicious. Yes, it was hard work and I probably would just use pre-made lasagna noodles next time, but it was so much fun finally making my own noodles (it’s been on my list of things to do since I started Kitchen Tested almost 1 year ago). I’m sure you’re wondering if the beet noodles actually tasted like beets and I’m honestly going to say that these bright red noodles tasted like, well, noodles! At least it had the health benefits of a vegetable in my pasta, right?!? And there were no preservatives, like boxed noodles. 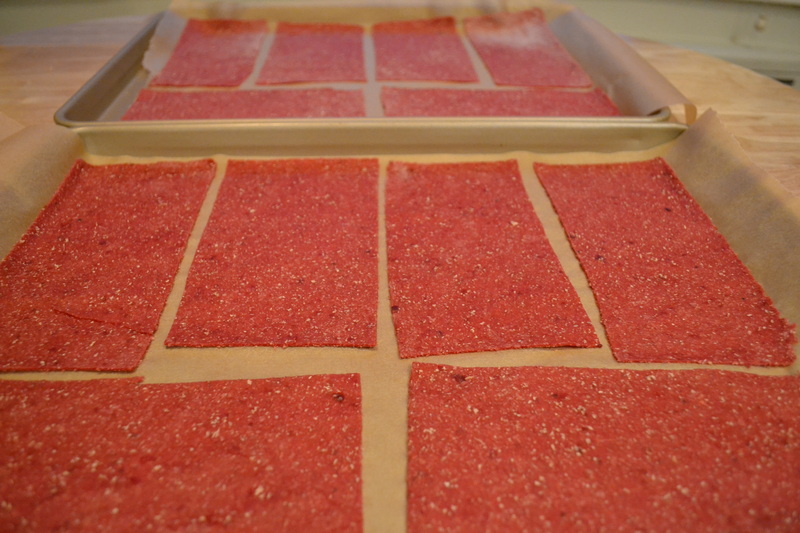 Okay, so maybe I would make these beet noodles again…we’ll see!